These are spare parts. 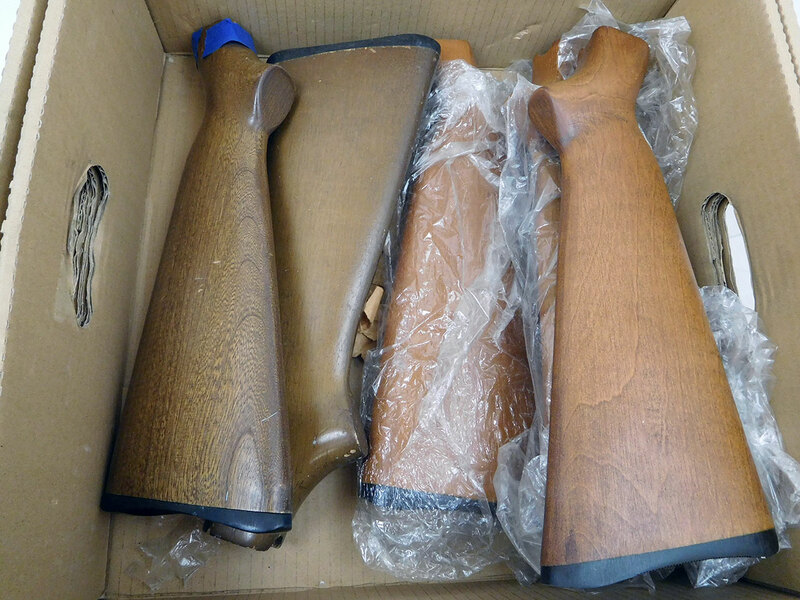 Wood stock for Crosman 622 airguns. Stocks from the pictured box are sold individually, and there is no guarantee on the appearance. We’re selling these very cheaply to reduce inventory. There’s no choice on which stock you get from the box.